I have a theory about showers. Have you ever noticed that an hour in the shower can feel like seconds? Or that you can't get your kids IN the shower, and then you can't get them out? It's some kind of wibbly-wobbly timey-wimey thingamebobby. 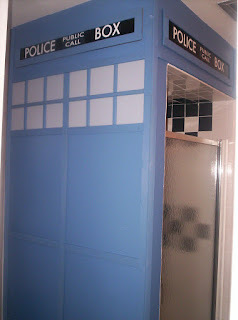 Is that your shower stall?